How to get Involved ! The Daniel Ricciardo Series is an exclusive one make racing series for 2 stroke Ricciardo racing karts backed by F1 driver Daniel Ricciardo ! 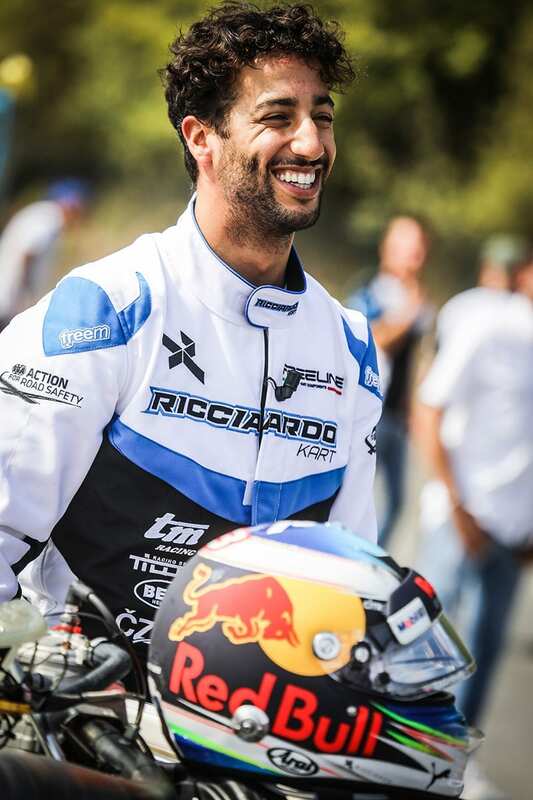 To be elgible to enter the series you must own and purchase a DRS Ricciardo kart suitable for your age range. This kart will be registered to you and you are the only person able to race that kart in the Daniel Ricciardo Series. All drivers must complete and pass the Daniel Ricciardo Driver Academy if under 12 years old and for drivers over 12 years old, the Daniel Ricciardo driver evaluation test to ensure you are a safe and sufficient driver who understands the racing safety flags and procedures used in racing in the Daniel Ricciardo series – just like F1 ! To request a call back if you are interested in purchasing a Ricciardo DRS kart and to discuss your requirements and situation…..